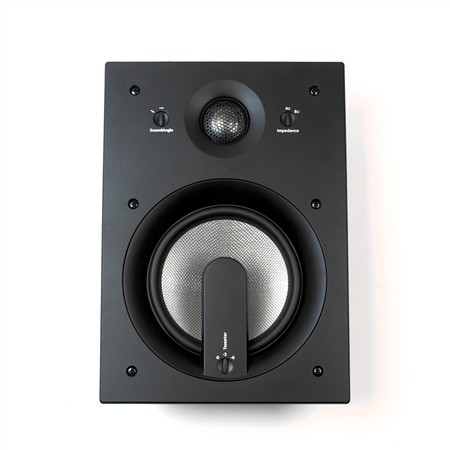 Titanium tweeters, woven synthetic fiber woofers, and adjustable tweeters and impedance switches - these speakers are designed from the ground up to deliver an incredible home theater solution unlike any other brand. 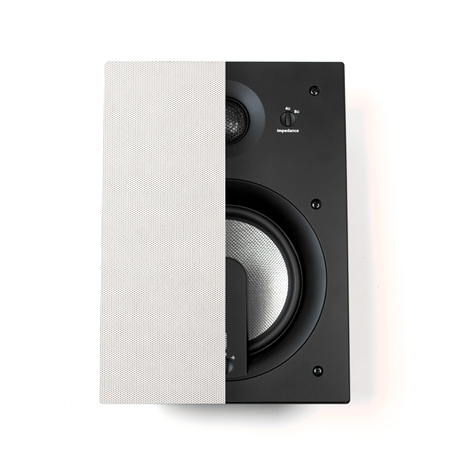 The Pro 4000 series utilizes new design benchmarks for Klipsch woofer design – an all-new woven construction that matches up perfectly with the superior dynamics and power handling of the titanium dome tweeter. 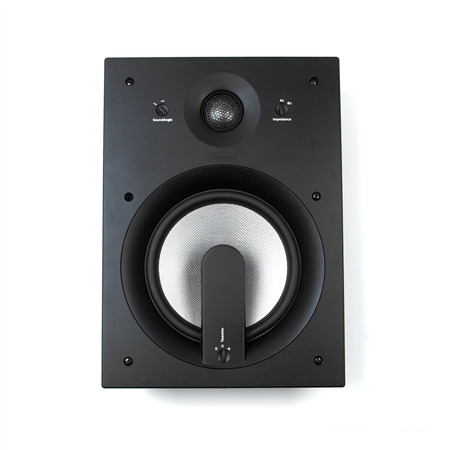 The Klipsch Pro Series Soundangle technology allows for discreet and flexible placement of the in-wall speaker for the home theater without losing the dynamic, powerful, full frequency response that the Klipsch Pro Series delivers. The Klipsch Professional Series introduces a new line of high-performance architectural speakers unlike any you’ve heard before. Superior acoustic technology makes the Professional Series the most dynamic, powerful, direct-radiating speakers available. The titanium high frequency drivers of the 4000 Series are effective to 22kHz. Titanium allows for an exceptionally rigid, lightweight diaphragm, resulting in very high speed, instantaneous transient response. 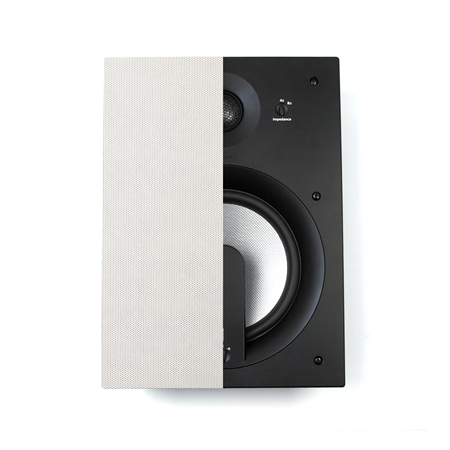 Delivering the dynamic, powerful Klipsch sound with minimal breakup at high SPL levels. 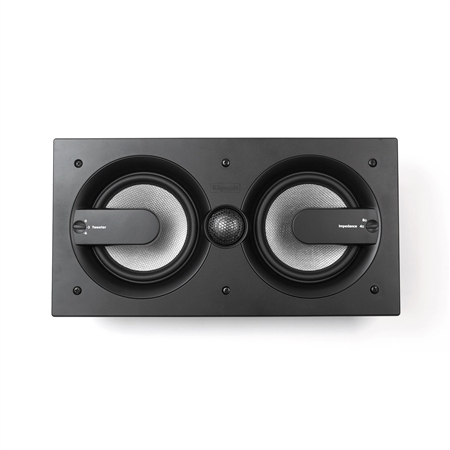 Titanium also offers superior damping characteristics, which helps minimize spurious resonances in the driver element, but Klipsch tweeters are designed with the resonance well beyond the audible range to eliminate it affecting the sound reproduction in the audible range. 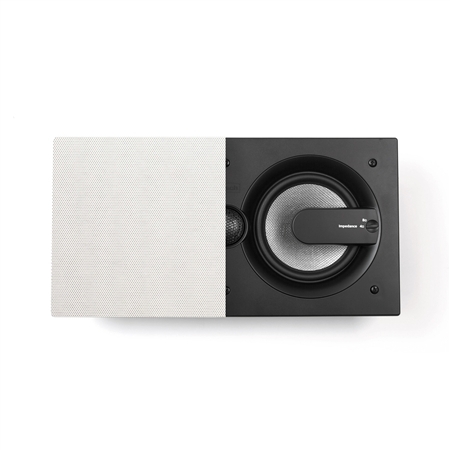 The Pro 4000 series utilizes new design benchmarks for Klipsch woofer design – an all-new woven construction that matches up perfectly with the superior dynamics and power handling of the titanium dome tweeter. Able to maintain its geometry at high SPL and vibration levels, synthetic fiber offers exceptional detail and clarity in the midrange and low frequency bands, while its lightweight offers transient response and efficiency.